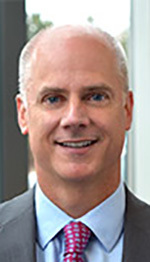 Eric Schornhorst, CFO of Michigan First Credit Union in Lathrup Village, has been added as a member to Michigan Vistage, an organization in St. Claire Shores affiliated with Vistage International that provides strategies for business leaders. As a board member, Schornhorst will join an advisory board of executive peers who meet in small groups nine times per year. He will also receive business coaching from a chief executive group chair. In his role as CFO, Schornhorst is responsible for all financial and accounting activities of Michigan First Credit Union. He is a board member of The Michigan First Foundation, a non profit foundation owned by Michigan First Credit Union that funds scholarship programs for high school and college students. Schornhorst, of Walled Lake, earned his bachelor’s in business administration from Central Michigan University and his master’s in business administration from University of Michigan.